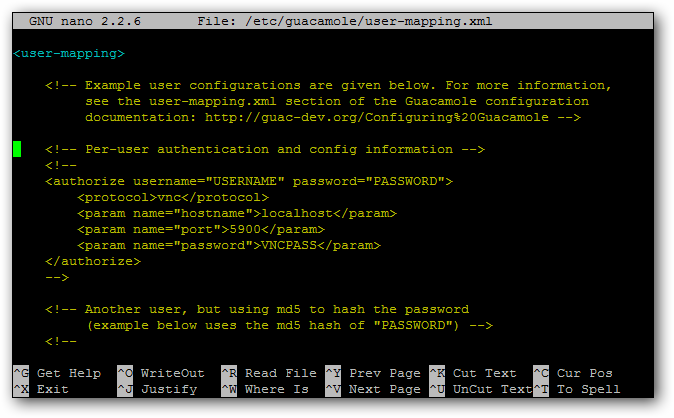 Installing Guacamole Browser VNC on Rackspace Cloud Server is actually not very difficult. You can install easily to enable a VNC Server as remote desktop. It is obvious that, Installing Guacamole Browser VNC is not only the way to get a VNC, you can for example install TightVNC for only VNC setup. However, Installing Guacamole Browser VNC on Rackspace Cloud Server has the advantages to create own applications or login to Remote Server from any device’s browser. We will describe for Debian System as the Standard. As we said before, you can use VNC without this Guacamole with TightVNC like described here. Also you can read the theoretical part on Virtual Network Computing or VNC. We are not describing the server building process in this guide on installing Guacamole Browser VNC on Rackspace Cloud Server, you can follow the initial steps described in VNC without this Guacamole with TightVNC guide for setup of that part plus installing TightVNC. We have a video Guide too for installing TightVNC for the setup of VNC for Ubuntu, also NeuroDebian specific VNC Setup Video is also available. There are not much difference in Ubuntu and Debian as Debian is the Grandfather. Usually in Rackspace the sources.list is not edited unlike Ubuntu. Still its better to check. Needs to be active to make the part of TightVNC running fine. We are not describing that part – we are skipping the part of installing TightVNC as they are linked above. But you must install TightVNC in your case. ln- -s is Symlink – you already know about Symlinks, is not it ? Yo must edit them if needed. Port is usually 8080, 5900, 5901. This Article Has Been Shared 4048 Times! Cite this article as: Abhishek Ghosh, "Installing Guacamole Browser VNC on Rackspace Cloud Server," in The Customize Windows, May 8, 2013, April 26, 2019, https://thecustomizewindows.com/2013/05/installing-guacamole-browser-vnc-on-rackspace-cloud-server/.